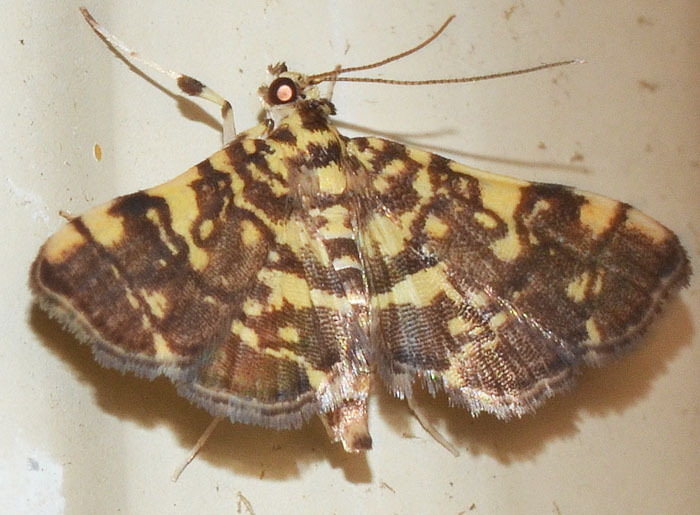 This small moth is the Checkered Apogeshna. The word root "Geshna" is Hindi and means singer. What fascinated me about this moth is its white/dark chocolate-like appearance.